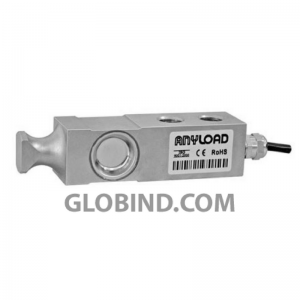 The Anyload 563YHRT Single Ended Beam Load Cell 10 Klb delivers reliable and accurate weighing for a broad variety of industrial and technical weighing applications. The Anyload 563YHRT Single Ended Beam Load Cell 2.5 K delivers reliable and accurate weighing for a broad variety of industrial and technical weighing applications. The Anyload 563YHRT Single Ended Beam Load Cell 4 Klb delivers reliable and accurate weighing for a broad variety of industrial and technical weighing applications. The Anyload 563YHRT Single Ended Beam Load Cell 5 K delivers reliable and accurate weighing for a broad variety of industrial and technical weighing applications. The Anyload 563YS Single Ended Beam Load Cell 1 K delivers reliable and accurate weighing for a broad variety of industrial and technical weighing applications. 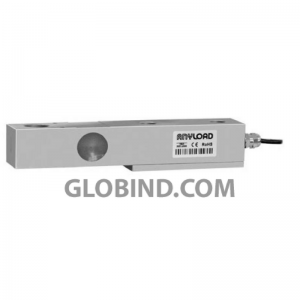 The Anyload 563YS Single Ended Beam Load Cell 10 Klb delivers reliable and accurate weighing for a broad variety of industrial and technical weighing applications. 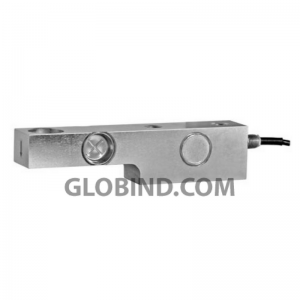 The Anyload 563YS Single Ended Beam Load Cell 15 Klb delivers reliable and accurate weighing for a broad variety of industrial and technical weighing applications. The Anyload 563YS Single Ended Beam Load Cell 2.5 K delivers reliable and accurate weighing for a broad variety of industrial and technical weighing applications. 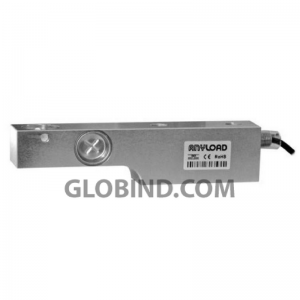 The Anyload 563YS Single Ended Beam Load Cell 20 Klb delivers reliable and accurate weighing for a broad variety of industrial and technical weighing applications. The Anyload 563YS Single Ended Beam Load Cell 4 K delivers reliable and accurate weighing for a broad variety of industrial and technical weighing applications. The Anyload 563YS Single Ended Beam Load Cell 5 Klb delivers reliable and accurate weighing for a broad variety of industrial and technical weighing applications. The Anyload 563YS Single Ended Beam Load Cell 500 lb delivers reliable and accurate weighing for a broad variety of industrial and technical weighing applications. The Anyload 563YS Single Ended Beam Load Cell SE5 Klb delivers reliable and accurate weighing for a broad variety of industrial and technical weighing applications. The Anyload 563YS30 Single Ended Beam Load Cell 1 K delivers reliable and accurate weighing for a broad variety of industrial and technical weighing applications. 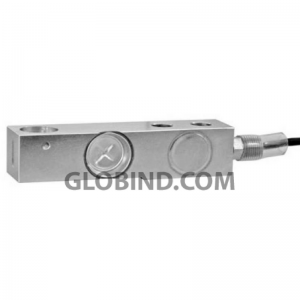 The Anyload 563YS30 Single Ended Beam Load Cell 10 Klb delivers reliable and accurate weighing for a broad variety of industrial and technical weighing applications. The Anyload 563YS30 Single Ended Beam Load Cell 15 Klb delivers reliable and accurate weighing for a broad variety of industrial and technical weighing applications. The Anyload 563YS30 Single Ended Beam Load Cell 2.5 K delivers reliable and accurate weighing for a broad variety of industrial and technical weighing applications. The Anyload 563YS30 Single Ended Beam Load Cell 20 Klb delivers reliable and accurate weighing for a broad variety of industrial and technical weighing applications. The Anyload 563YS30 Single Ended Beam Load Cell 4 K delivers reliable and accurate weighing for a broad variety of industrial and technical weighing applications. The Anyload 563YS30 Single Ended Beam Load Cell 5 Klb delivers reliable and accurate weighing for a broad variety of industrial and technical weighing applications. The Anyload 563YS30 Single Ended Beam Load Cell 500 lb delivers reliable and accurate weighing for a broad variety of industrial and technical weighing applications. The Anyload 563YS30 Single Ended Beam Load Cell SE5 Klb delivers reliable and accurate weighing for a broad variety of industrial and technical weighing applications. The Anyload 563YSMT Single Ended Beam Load Cell 1.25 K delivers reliable and accurate weighing for a broad variety of industrial and technical weighing applications. The Anyload 563YSMT Single Ended Beam Load Cell 10 Klb delivers reliable and accurate weighing for a broad variety of industrial and technical weighing applications. The Anyload 563YSMT Single Ended Beam Load Cell 2.5 Klb delivers reliable and accurate weighing for a broad variety of industrial and technical weighing applications. The Anyload 563YSMT Single Ended Beam Load Cell 5 Klb delivers reliable and accurate weighing for a broad variety of industrial and technical weighing applications. The Anyload 563YSMT Single Ended Beam Load Cell 500 lb delivers reliable and accurate weighing for a broad variety of industrial and technical weighing applications. The Anyload 563YSMT Single Ended Beam Load Cell Pin 500-4K lb delivers reliable and accurate weighing for a broad variety of industrial and technical weighing applications. The Anyload 563YSRS Single Ended Beam Load Cell 1 K delivers reliable and accurate weighing for a broad variety of industrial and technical weighing applications. The Anyload 563YSRS Single Ended Beam Load Cell 10 Klb delivers reliable and accurate weighing for a broad variety of industrial and technical weighing applications. The Anyload 563YSRS Single Ended Beam Load Cell 2 K delivers reliable and accurate weighing for a broad variety of industrial and technical weighing applications. The Anyload 563YSRS Single Ended Beam Load Cell 5 Klb delivers reliable and accurate weighing for a broad variety of industrial and technical weighing applications. The Anyload 563YSSB Single Ended Beam Load Cell 10 Klb delivers reliable and accurate weighing for a broad variety of industrial and technical weighing applications. The Anyload 563YSSB Single Ended Beam Load Cell 2.5 K delivers reliable and accurate weighing for a broad variety of industrial and technical weighing applications.